Respironics has yet to release their DreamStation BiPAP S/T but ResMed currently has their latest AirCurve 10 ST available for purchase. The Philips Respironics PR System One BiPAP S/T is a noninvasive home ventilator used for the most complex sleep breathing disorders. 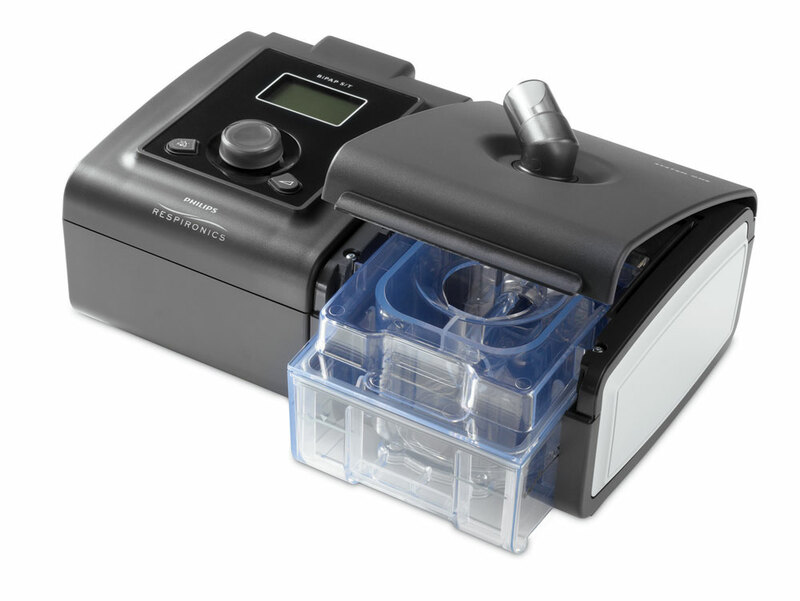 Philips Respironics used all the features of the System One Series machines in the BiPAP S/T; features like Humidity Control, Digital Auto-Trak Sensitivity, BiFlex pressure relief, and the SD data card for use with EncorePro or EncoreAnywhere software. Philips-Respironics also listened to user feedback when designing the System One Heated Humidifier. A cleverly designed water chamber works with a built in Dry Box to virtually eliminate water getting into the machine during normal use. Even with a water chamber filled to the FULL line, the machine can be tilted and even turned upside down without leaking water back into the unit*. Furthermore, System One Humidity Control monitors room temperature, room humidity, and flow to determine what is required to maintain your selected humidity setting, even when environmental conditions change. Because of this, you can be assured that your therapy comfort will be maximized by virtually eliminating rain-out and condensation buildup in the tubing. * PLEASE NOTE: ALWAYS drain your water chamber completely when transporting or moving your machine. The BiPAP S/T operates at a quiet 30 dBA, is light weight at only 3 lbs., and is small enough for easy travel at 7''L x 5.5''W x 4''H. It offers CPAP, S, and ST modes, with IPAP and EPAP pressures up to 25 cmH2O, and CPAP pressures up to 20 cmH2O. Ramp is 0 to 45 minutes and Breath Rate is 0 to 30 BPM. The BiPAP S/T homecare ventilator is cleared for use with patients as young as seven years of age who weigh more than 40 pounds. This machine is used for treatment of various sleep disorders such as neuromuscular, COPD, and obesity hypoventilation.